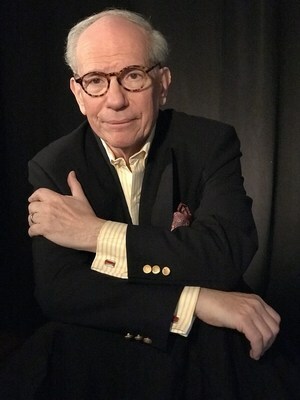 WOODSTOCK, N.Y., Jan. 11, 2019 /PRNewswire/ -- Douglas I. Sheer, Chairman of the Board of Directors of Artists Talk on Art, announced today his intention to retire. Sheer, who is celebrating his 45th anniversary with the panel series this year, said the timing of the announcement was to "ensure that the succession-planning process begins soon." Sheer, himself a working painter and video artist, founded the organization in Soho, with artist and filmmaker Lori Antonacci and the late painter, muralist and video artist Robert Wiegand in 1974. ATOA was inspired by the Abstract Expressionist members-only group called The Club that ran from 1949 to the mid-1960s. The three ATOA founders, however, were convinced their new effort had to be grass roots and inclusive. In addition to exposing the broadest range of styles and aesthetics, the series promoted political debates, Feminism, diversity and survival skills for artists. During Sheer's tenure, the series has presented nearly 1,000 panels and dialogs featuring over 6,500 artists, art writers, curators, critics, historians and gallerists. He personally planned dozens of the panels, moderated many and supervised the recording and preservation of all the talks. In addition to helped raise significant funds. "Doug Sheer is a visionary and respected arts advocate who has guided Artist Talk on Art, helping make it the longest running artists' forum in contemporary art history. His particular passion was to serve the community of artists that lived in and around Soho within walking distance of the venues," said A. D. Coleman, critic and historian. "His legacy will be the organization's longevity, the preservation of its archive and the highly pluralistic philosophy he nurtured." 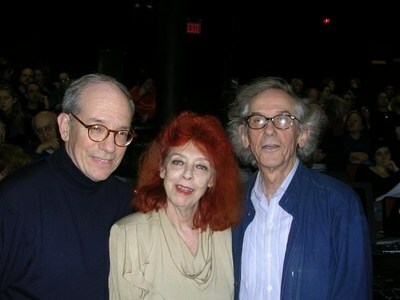 During his tenure, ATOA presented talks by an art world 'who's who' that included: Will Barnet, Robert Blackburn, Louise Bourgeois, Herman Cherry, Judy Chicago, Christo & Jeanne-Claude, Arthur Danto, Agnes Denes, Robert DeNiro, Leon Golub, The Guerrilla Girls, Grace Hartigan, Wolf Kahn, Hilton Kramer, Lucy Lippard, Robert Longo, Alice Neel, Robert Mapplethorpe, Knox Martin, Marisol, Ana Mendieta, Elizabeth Murray, Dennis Oppenheim, Judy Pfaff, Larry Poons, Milton Resnick, Larry Rivers, Ursula von Rydingsvard, Jerry Saltz, David Salle, Irving Sandler, Andres Serrano, Peter Schjeldahl, Miriam Shapiro, Nancy Spero, Pat Steir, Calvin Tomkins, Carolee Schneemann, Kenneth Snelson, Lilli Wei, Hannah Wilke, Kehinde Wiley and Fred Wilson. A major achievement of his work on behalf of ATOA was the curating and organizing of its historic archive, consisting of over 850 audio and video recordings plus extensive papers that filled over 100 banker's boxes. He oversaw the lengthy and complex digitization process. The ATOA archive was ultimately donated to Archives of American Art of the Smithsonian Institution in Washington, D. C. in 2016. The recordings represent the largest such collection ever received by them. In contrast, only one recording survives from the Club years. "I am the sole member of the founders and initial board still in a leadership role. I've enjoyed the collaboration and support of the many board members, staff and volunteers without whom this would never have been possible," he said. Artists Talk on Art has provided a forum for visual artists in New York City for nearly a half century and is the longest running panel series in art history. The organization is a 501C3. Critically acclaimed, ATOA was conceived and organized in 1974 and has offered talks by more than 6,500 artists since. Serving a largely art world constituency, the series has presented to an audience of hundreds of thousands. The panels are currently held at the National Arts Club on Gramercy Park South in Manhattan. See www.atoa.org for more details.